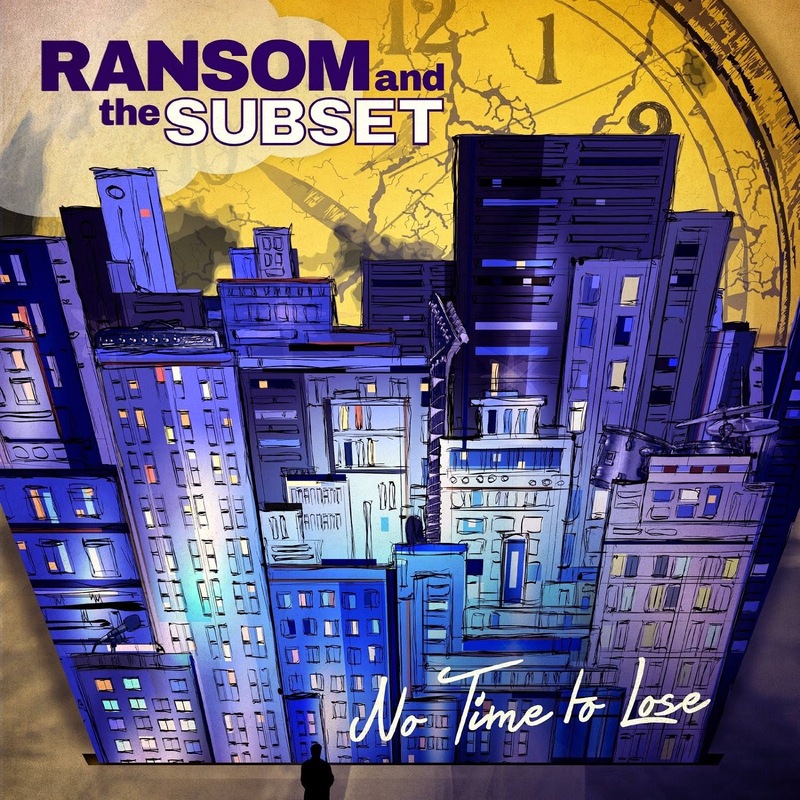 Discussions Magazine Music Blog: SPAZ reviews RANSOM AND THE SUBSET'S No Time To Lose! SPAZ reviews RANSOM AND THE SUBSET'S No Time To Lose! The one reason I don’t like making ‘best of year’ lists is because I know that I’m going to come across stuff that I missed the first time around and I can’t go back and add them to a pre-existing list that I’ve already published on the blog. So, naturally, when I first heard No Time To Lose by Ransom & The Subset, I was kicking myself because I hadn’t heard it in time to make my ‘best of 2014’ list. And let me tell you – this is an amazing Pop record from start to finish. For those of you Pop geeks, this is right along the lines of The Legal Matters, Cherry Twister and Gary Klebe’s work with Shoes – instantly loveable songs that borrow from Pop’s past but still seem fresh and exciting. Each song has numerous hooks so you’ll end up discovering something different on the first few listens before it all falls gloriously into place. The perfect blend of electric and acoustic guitars and piano/keyboards breathe life into the arrangements. There are some great harmonies on display here but they don’t overdo them, often using them as aural brush strokes on a pulsating Pop canvas. Songs like “Anna,” “Sticking Onto You” (which borrows the ‘ooga-chaka’ bit from Blue Swede’s “Hooked On A Feeling”), “Baby Cry” (a lovely ode to a dog that recalls America’s ‘Daisy Jane”) and “Leaving With You” are definite standouts but my favorites change with each listen. Ask me next month and I may swap a few of those out… or just add the remainder of the album to the list. No Time To Lose would have been right up there with The Legal Matters and The Rubinoos’ albums as one of the best albums of 2014 if I had heard it in time. Hmmm… let me rephrase that: No Time To Lose IS one of the best albums of 2014 – most of you didn’t read my list anyway!